My sheep hear my voice. I know them, and they follow me. I give them eternal life and they will never perish. Although Good Shepherd in its current incarnation is relatively young, we trace our roots to two Church of England congregations established in Colonial South Carolina: St. Paul's Parish Church (1708) on the Stono River in Rantowles and St. George's Parish Church (1720) within the Dorchester settlement on the Ashley River. Families from these parishes began "summering" inland to escape the mosquitoes and malaria and established St. Paul's Episcopal Church in Summerville in 1830. By the late 1800's the original Parish churches had all but succumbed to dwindling populations, wars, fires, earthquake damage. St. Paul's gradually inherited the congregations and the legacy of the forebears and grew and flourished for over 180 years as a parish of The Episcopal Church in the Episcopal Diocese of South Carolina. The Rev. 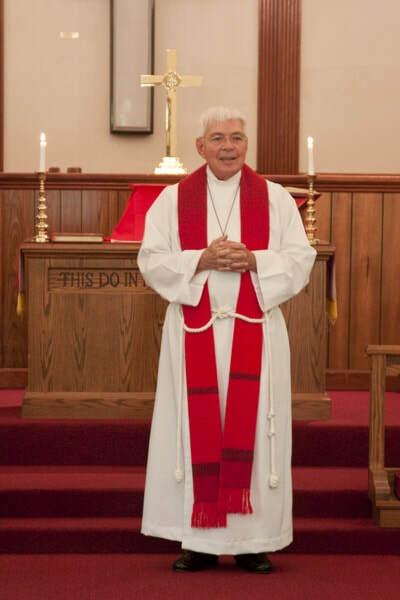 J. Gregory Prior regularly supplied at Good Shepherd and served as priest associate in 2016.
services celebrated by supply clergy in members' homes, orphaned Summerville Episcopalians continued worshiping uninterrupted, and bit by bit, organized a functioning church. In early 2013, the fledgling congregation held weekly services at the Timrod Library. By February of that year, the people and clergy of Wesley United Methodist Church welcomed us with grace and hospitality to share their worship space. Christian Formation classes for adults and children continued in the Timrod Library, a short walk away. In May 2013, having grown significantly as a worshiping community, the mission council and congregation chose The Episcopal Church of the Good Shepherd as our new name. We filed necessary forms with the SC Secretary of State and were incorporated on July 19, 2013. The Rev. Alastair Votaw, first Priest-in-Charge, served Good Shepherd from October 2013 until July 2017. During this tiime we became a mission congregation of The Episcopal Church in SC. ​In October of 2013, the first Provisional Bishop of SC, The Rt. Rev. Charles vonRosenberg appointed The Rev. Alastair Votaw to serve as our first Priest-in-Charge. 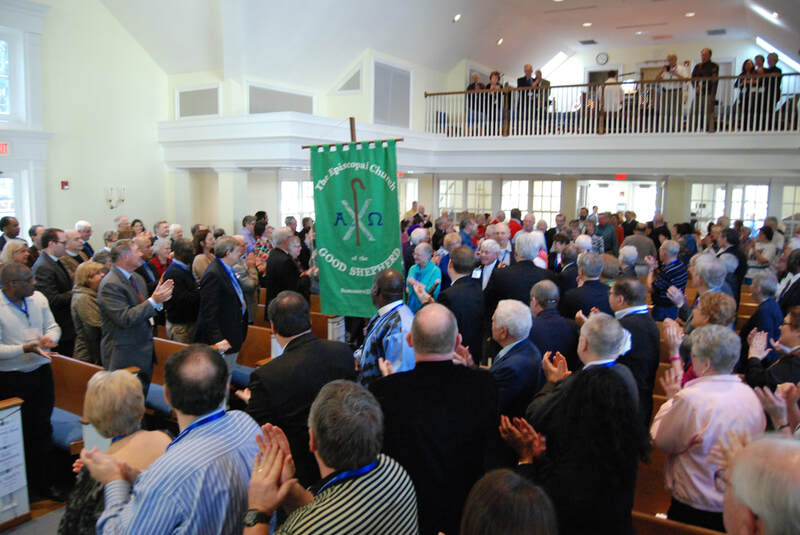 In February 2014, The Episcopal Church of the Good Shepherd, Summerville was admitted as a mission church into the 223rd Annual Diocesan Convention of The Episcopal Church in South Carolina. Full membership in The Episcopal Church once again!! Our congregation kept growing, and we faced increasing needs for a more permanent worship space. Following an extensive search and an interior upfit, Good Shepherd moved into its present West Luke Street location on July 16, 2015. Our outreach ministries expanded as we serve in the Summerville community. In July 2017, our second Provisional Bishop in SC, The Rt. Rev. Skip Adams appointed the Rev. Dow Sanderson as Good Shepherd's second Priest-in-Charge. Since October 2012, we have experienced steady growth, welcoming new members and adding facilities. 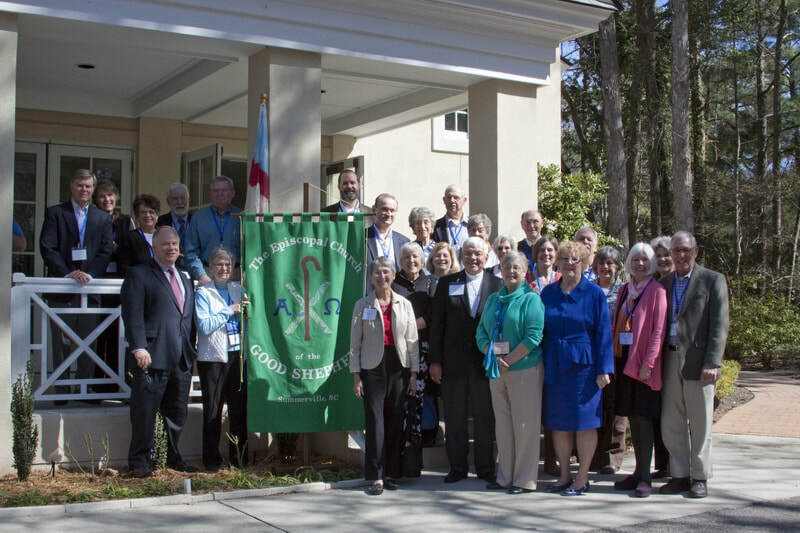 Our active members hail from many places - Illinois, New York, Virginia, New Jersey, Georgia, Michigan and, of course the SC Lowcountry. Having endured painful fracture in our previous local congregation, we pray and work to be one body, the Body of Christ in this place. We look forward to continue serving through worship, study, and Good Shepherd's outreach and parish ministries. ​We are a community of gratitude, welcoming all persons to share the love of Christ in our inclusive and joy-filled church. Here, indeed, all are welcome, all are valued, all are loved. The Rev. Dow Sanderson, Good Shepherd's second ​ Priest-in Charge. Dow retired in June 2017 having served for 17 years as rector of The Episcopal Church of the Holy Communion, Charleston, SC. ​Come and see! Come and worship! Come and serve Christ! We invite you to watch the video linked below which was created for the Province IV bishops who visited The Episcopal Church in SC in June 2013. Each worshiping community was asked to share the story of our experiences as continuing Episcopal congregations following the 2012 schism in South Carolina. We share the video with you in remembrance of our very own 'earliest' saints, those among us and those who have gone before. Thank you, Lord. Tom Riley with granddaughter Maddie Ru, at Wesley United Methodist Church, Splring, 2013.